On his seasonal debut, the progressive Charlie Appleby-trained performer, enjoyed his fourth successive victory when making all the running under William Buick. 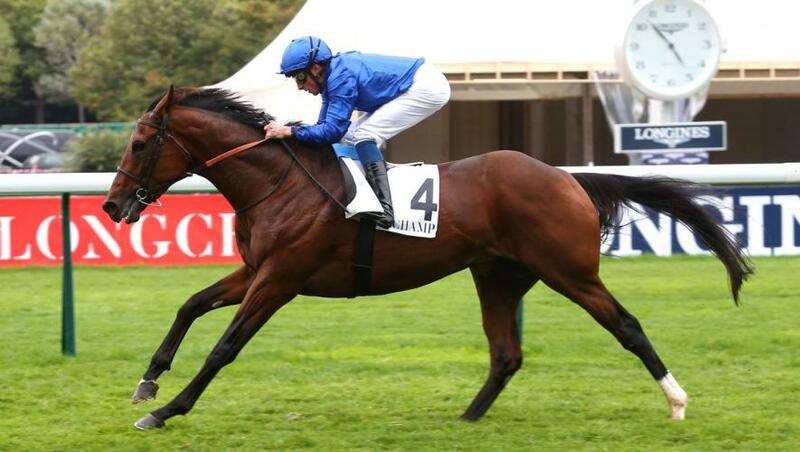 He strolled home in 2m 2.87s after going well clear in the straight before being heavily eased in the closing stages to beat another Godolphin runner, Soleil Marin (Andre Fabre/Pierre-Charles Boudot), the only rival able to try and challenge, by a length and a half. He winning margin could have been so much greater. This was only Ghaiyyath’s fifth start and Charlie Appleby is very keen about future prospects. He said: “I am delighted with that performance – he is a horse with a future. He is another Dubawi who has improved from three to four. “He had G3 success as a two-year-old and as a three-year-old, and now has won a G2. There is an exciting year ahead for him. “We have always been excited by this horse and he was a Derby prospect last year before having setback. He has wintered well in Dubai. “Ghaiyyath is a very strong galloper. If something could go faster than him, then we would let them go on, but nothing can give him a lead because he is such a strong traveller. The G1 Prix Ganay (28 April) at Longchamp is the possible next target. Lisa-Jane Graffard of Godolphin was pleased with Soleil Marin and said: “He ran really well and the jockey said the horse is in the form of his life.